A 3D printer developed by Höganäs has been installed at CETIM, the French industrial institute. The printer is part of a license agreement that was signed last year. 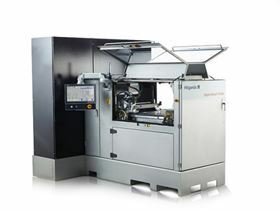 The printer, a Digital Metal P2000 is equipped with an upgraded build box, upgraded ink supply system as well as upgraded powder handling system. CETIM is an industrial institute based in St Etienne, France.